From the arrival of Louis-Napoleon as President in 1848 up until the debacle in 1870, Franco-British relations saw a roller-coaster ride, from close partnership (during the Crimean war) to downright hostility. And yet the period is characterised by the expression, used by Palmerston in 1844, “entente cordial” or warm understanding. Indeed, during the more hostile moments, Palmerston himself was responsible championing a policy of fortified defences for Britain, notably the south coast of England and the Channel Islands. But such a gun emplacement policy was not new. It had been the response 45 years earlier when faced with the French president's charismatic and altogether more threatening uncle. After the fall of Napoleon I, it was felt that there was no longer a need for coastal defences. The Martello Towers fell into disrepair. It was not long however before they were called out of retirement, with the deposition of Charles X by the July Revolution of 1830 and the coming to power of Louis-Philippe, the Duc d'Orleans. This changed completely the tenor of Franco-British relations. As an initial result, the Martellos were repaired and re-armed, the 24-pounder cannon being replaced by a 32-pounder. But senior French and British politicians were keen to preserve the status quo achieved in 1815. Palmerston (British Foreign Minister, November 1830 to November 1834, and April 1835 to August 1841), Casimir Perier (soon to be Prime Minister), Comte de Mole and the Duc de Broglie (respectively, French Foreign Office and Interior ministers) all believed that the welfare of Britain, France and Europe depended on friendly relations between the two countries. Conciliatory overtures were made and this knee-jerk fear of French invasion abated. However, relations were strained by the creation of the kingdom of Belgium in 1831 – an event in which the Palmerston played a key role. It rapidly became clear that although Palmerston had reacted positively to the accession of Louis-Philippe (he had hated the Bourbon regime), he nevertheless did not trust France and for him the 'entente cordiale' was merely a sort of synonym for a 'laisser faire' in which France would 'laisser' Britain 'faire' pretty much whatever it wanted, without interference. Franco-British relations continued to deteriorate, going from poor to poorer still, with Palmerston taking the opportunity of a speech to his local constituency to damn French colonial behaviour. In 1847, work began on a defensive breakwater on Alderney, one of the Channel Islands, as a protection against a feared French invasion. But even greater confusion was just around the corner. A revolution in February 1848 thrust Louis-Philippe from the throne and a republic was proclaimed. To further confound British observers, a certain Louis-Napoleon was elected president in the December of the same year. Whilst Alphonse Lamartine (1790-1869), poet and politician, attempted to steer a middle way in during the initial months of this the Second Republic, a core of hawkish French politicians openly promoted a righteous republican war in Europe. French intervention in Italy in 1849 did nothing to calm fears that underneath it all, the 'Sphinx' (as Napoleon III was occasionally called) kept in his back drawer an 'adventurous' foreign policy, involving possibly the annexation of the barely established kingdom of Belgium and the states on the right bank of the Rhine. Palmerston at this point published a confidential paper in which he foresaw an French invasion of Britain. Mistrust of Napoleon III on his becoming emperor manifested itself in the pages of The Times (via its editor John Delane), and in Palmerston's approach to France. War scares were whipped up by the British press in 1852 and 1853, and attention turned to improving the country's defences. Indeed Delane was to visit France in January 1853 and was impressed by its military preparedness. He became as a result 'more convinced than ever that in order to retain his precarious hold upon the French people, and especially upon the army, Louis-Napoleon was resolved upon a forward foreign policy'. As an immediate precaution against such 'a forward policy', the breakwater at Alderney was extended, and the first of the major forts or 'Palmerston's follies' were begun around Portsmouth, Fort Elson being started in 1853 and completed in 1858, whilst Fort Gomer was begun in 1855 to be completed 1860. However, as construction began to get underway the panic abated. Furthermore, the two nations found themselves (almost by mistake) in alliance against Russia – they declared war on 27/28 March, 1854. In 1855, Franco-British relations took yet another an upturn, with successful reciprocal state visits taking place – Napoleon III visited London in the April of 1855, and Victoria returned the compliment four months later. But unfortunately the choppy waters of European diplomacy were to be become decidedly stormy as a result of the French involvement in Italy and the war against Austria in 1859, culminating in the battles of Magenta and Solferino. French operations in Italy caused the third invasion panic. A Royal Commission of 1859 warned that, if the Royal Navy were lured elswhere, the then coastal defences would not be a sufficient deterrent. Although very solid (gunners in the 1860s were impressed how long it took to blow them up), the still-standing Martello towers were considered obsolete. The Defence Act of 1860 led to the construction of more forts, particularly around the important strategic port of Portsmouth. Indeed, recent experience (on the wrong side) of defensive architecture in the Crimea had reinforced British military thinking that fortifications were the best coastal defences. In complete contrast to the small Martello towers, these were significant forts. Fort Nelson, for example, had barracks for 172 men and boasted thirty guns, thus seven times as many men and ten times as much artillery as the humbler Martello. Critics, however, of what were soon to become known as 'follies' thought that money would have been better invested in the navy. 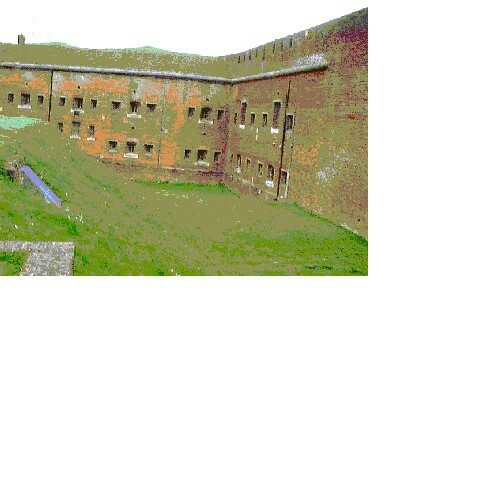 The principal aim of the Portsdown Forts was the protection of the Portsmouth dockyard, most notably ensuring that the naval installations would be defended from an attack from behind by forces which had landed further up the coast – this idea of 'protection from the rear' gives the Portsdown forts the appearance of having been built facing the wrong way. The whole of the island of Portsmouth and its surroundings can be seen from the crest of Portsdown hill, this a chalk ridge which extends for seven miles, and the main fear was that an enemy could, with the right weapons, seriously damage the naval base. 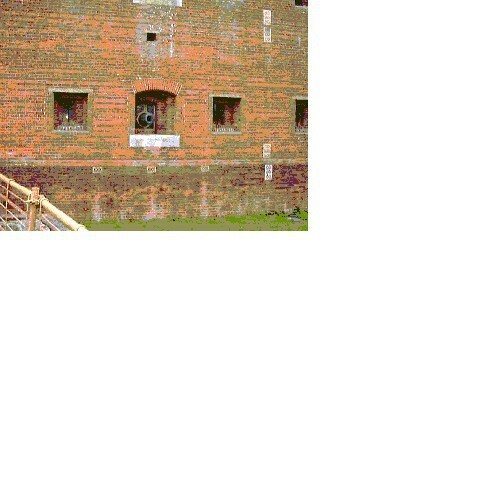 Eight Forts were constructed along this ridge Fort Wallington – Fort Nelson – Fort Southwick – Fort Widley – Fort Purbrook -Crookhorn Redoubt – Farlington Redoubt . Although all the forts were eventually fully armed, none of them ever fired a shot in anger during the 19th century. The Franco-Prussian war of 1870 put an end to any realistic French 'threat'. In the 20th century, many of these coastal defence forts and batteries were re-armed and saw active service in both the First and Second World Wars. They were however finally taken out of service in 1956, when coastal defence was abolished. The Palmerston Forts Society under its chairman Geoffrrey Salvetti and with the enthusiastic webmaster David Moore, is actively involved in the preservation and popularisation of these remarkable monuments to Franco-British distrust. (1) The Commander-in-Chief of the Mediterranean, Admiral Sir John Jervis also wrote at the time (1794) that he "hoped to see such works erected on every part of the [English] coast likely for an enemy to make a descent on." Quoted in Sutcliffe, p. 22. (2) "Many towers have been demolished over the years or swept away by the sea, but survivors include 1-2, 3,4-9, 13-15,19,23,24,25,28,30,55,60-62,64, 66, 73, 74. Peter Hibbs has a superb site about The South Coast Martello Towers (see below) which gives full details of both the overall planning and the state of every tower." From the "Fortress UK" website. (3) "Survivors include A,C,D,E,F,K,L,M. At the same time the Royal Military Canal was dug to connect Hythe and Rye to isolate Romney Marsh from the high ground behind, though Napoleonic armies capable of crossing Europe's rivers would hardly be stopped by a 30' canal." From the "Fortress UK" website. Many thanks to Charles Miles for the initial idea, photos and information.